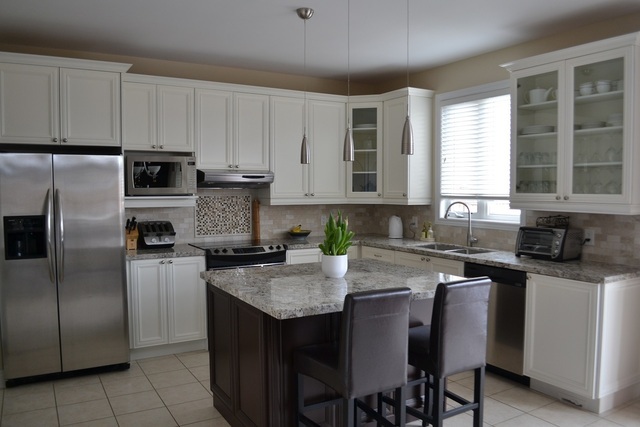 Paint Core refinished our kitchen cabinets this March, and we are extremely pleased with the results. Most importantly, the cabinets look great! We were slightly concerned refinishing wouldn’t turn out as we hoped, but they look like new. They have a great finish that seems very durable. 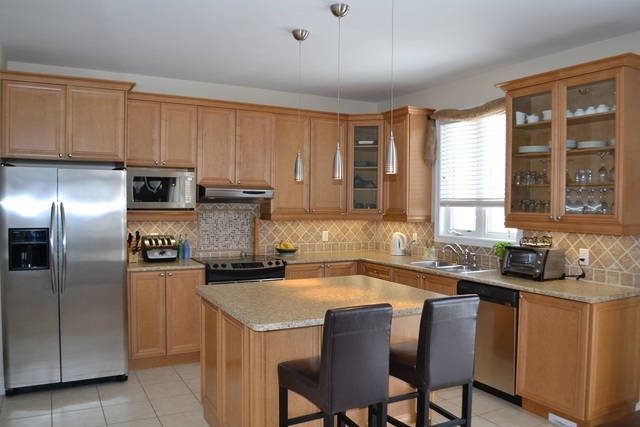 We’ve received a lot of positive feedback on our kitchen renovation in general, and the cabinets in particular. Secondly, we found Rade and his team to be professional, friendly, clean and punctual. They arrived when they said they were going to, worked efficiently and were open to questions/requests. What I was most impressed with was Rade’s commitment to make sure that we were completely satisfied with their work. A few of the cabinet doors needed to be realigned. I called Rade up, and his team was at our place the next day to make the adjustments. No questions or push-back – he was emphatic that if there was anything we weren’t happy with, they’d fix it. Lastly, we did do some shopping around prior to selecting Paint Core. We found them to be very price competitive. After seeing what a great job they did in our kitchen, we asked them to refinish the vanity in our master bathroom. As expected, great job there as well. We would highly recommend Paint Core.